Who said school projects didn’t matter? 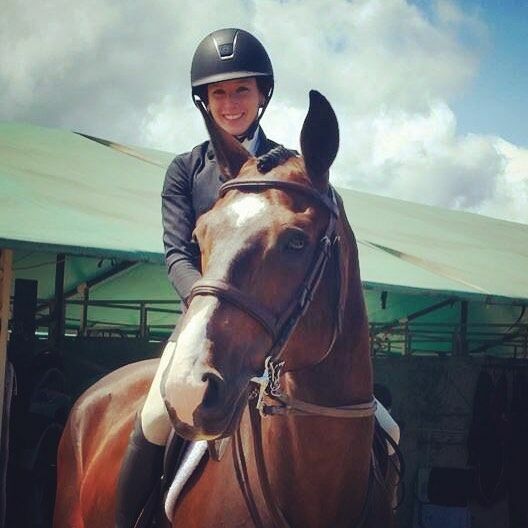 Hansen Equestrian started out as a tenth-grade project for entrepreneurship class. The best entrepreneurship ideas are borne from recognizing a unique need. In this case, Sarah Hansen observed a serious lack of stylish, sophisticated and high-quality horse and rider garments. Through her years of showing competitively, there wasn’t anything out there that she loved. So, she designed what she wished for. It started with bold, in-your-face prints. Decadent velvety materials with thoughtful product design. Everything road-tested by a true equestrian. Today, Hansen Equestrian is renowned for its high-quality production and innovative functionality. Our “off the rack” products centre around our classic velvet fabrics, while our custom product portfolio has expanded exponentially over the years. We’re proud to partner with exceptional retailers and also offer barn, corporate, and contract manufacturing opportunities. We take a lot of pride in our Canadian roots. In fact, 100% of our manufacturing is done in Ontario, so we tag our products with a little red-white-and-leaf flag. We only source the finest materials for our products including hypoallergenic, furniture-grade upholstery fabrics that are machine washable. We use genuine leather on all our scrims and coolers and local, premium Canadian wools. As a designer, I like to be hands-on and oversee the craftsmanship and quality control processes that go into each and every one of our pieces. As an equestrian, I have thoughtfully designed each Hansen Equestrian product to be durable and functional for the demands of our sport. If you have any questions, please don’t hesitate to reach out.